I have a BodyMedia arm band. I also have an original Fitbit, along with several traditional pedometers. I don't have a Jawbone Up or a Nike + FuelBand, but those items are on my Amazon wishlist and I'm waiting for the 2nd or 3rd generation devices before I make a purchase. Jawbone is making a serious move into the Quantified Self (QS) movement of self-tracking gadgets and they are acquiring BodyMedia for over $100 million. 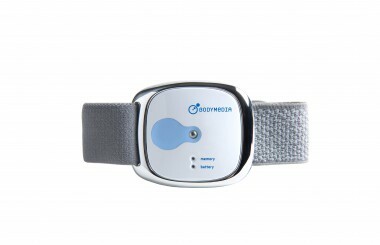 BodyMedia has had more than 80 patents issued, so it's a valuable company because of its technology and its people. Do you wear a fitness gadget or use a fitness tracking app? If you do, then stay tuned because a host of new gadgets like the Misfit Wearables SHINE and many other new gadgets will be coming in 2013.